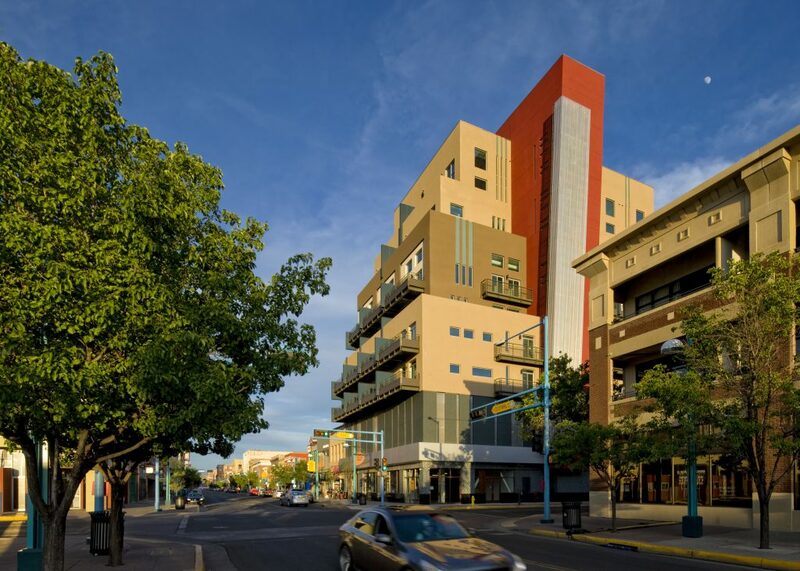 Anasazi Downtown is the first of its kind in Albuquerque – a nine-story mixed-use project sure to invigorate more development along Route 66 in downtown’s western edge.The 88,000-square-foot building is designed for commercial use on the street level, above that two levels of parking garage, capped with 45 condominiums on the top six floors. 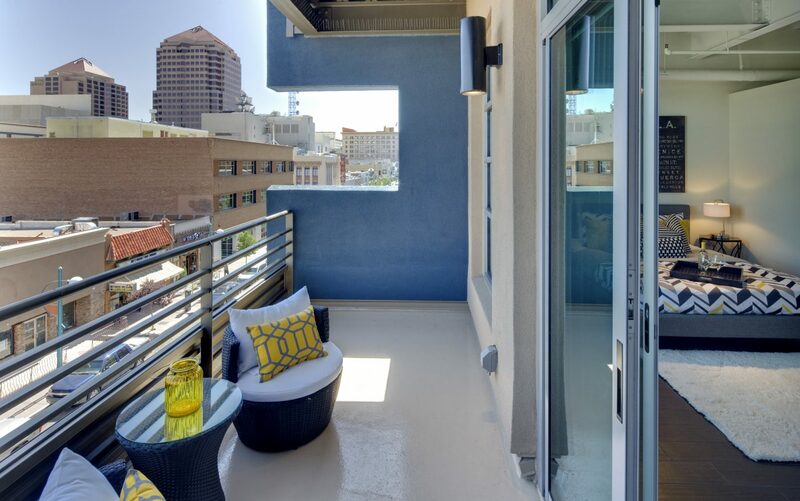 A roof garden on the fourth level provides dramatic views of the cityscape and the Sandia Mountains to the east. 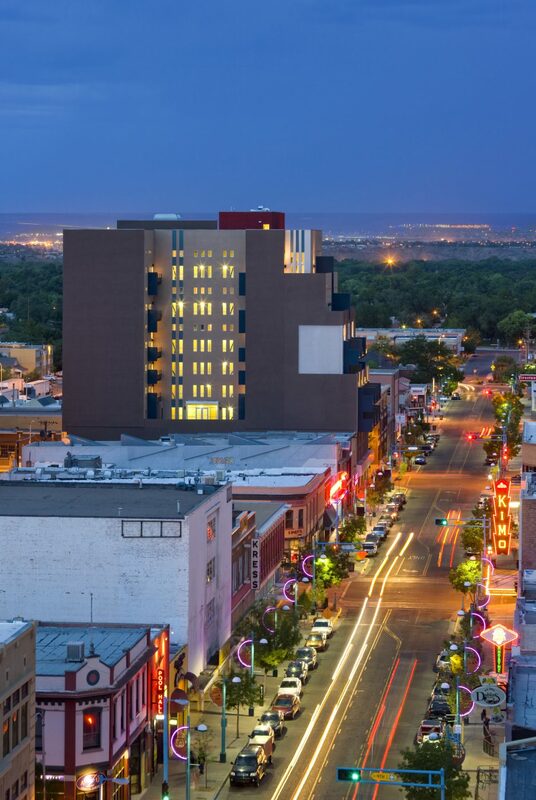 The design of the building’s exterior draws on New Mexico’s rich cultural history. 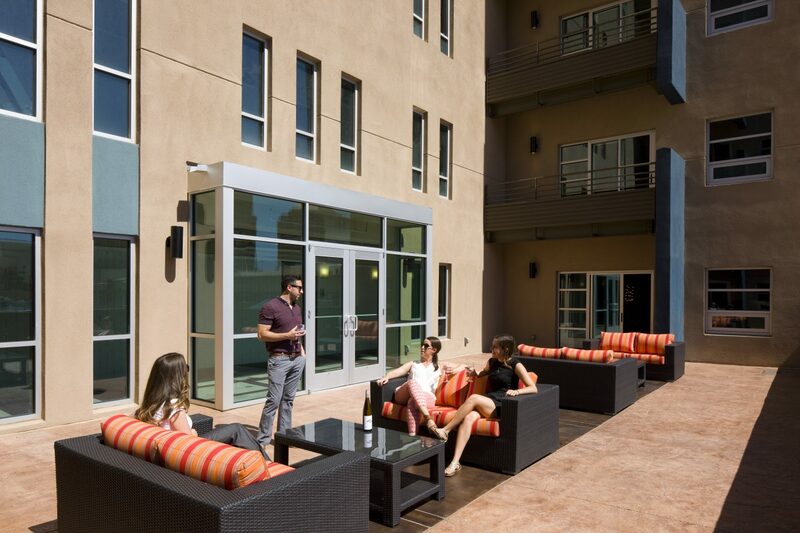 Stepped facades and cantilevered balconies call to mind pueblo-style architecture. 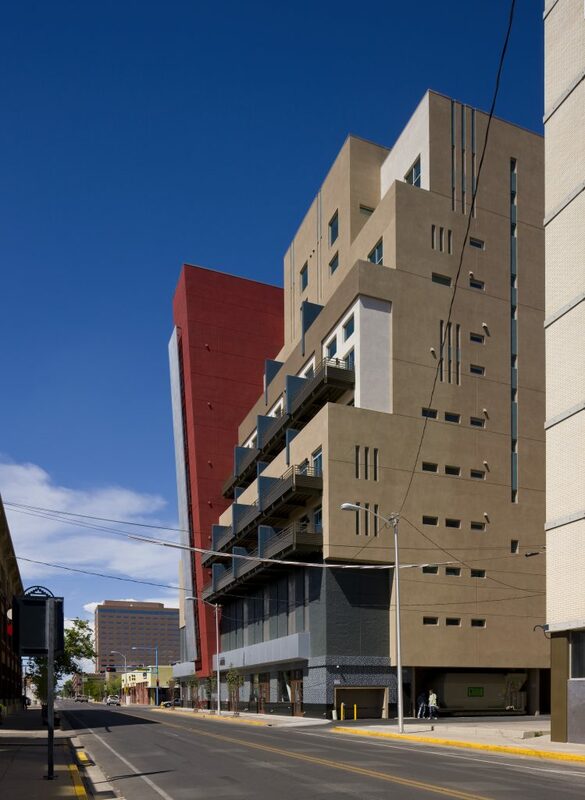 Concrete panels that clad the parking garage are reminiscent of the heavily-textured canyon walls of northern New Mexico, and stucco colors are culled from the state’s bright landscape. The project was named for the American Indian people who flourished in the region’s canyons from about 200 BC to AD 1500. 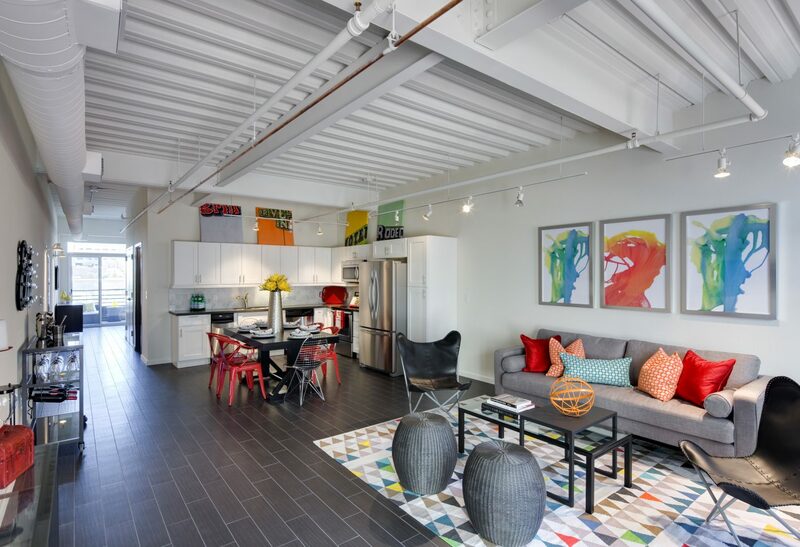 With an appreciation for the past, Anasazi Downtown is an inspiration for downtown’s future.